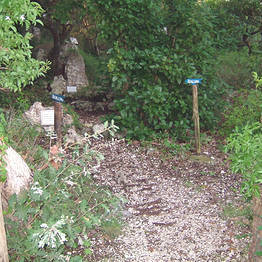 Capri Philosophical Park on Capri. 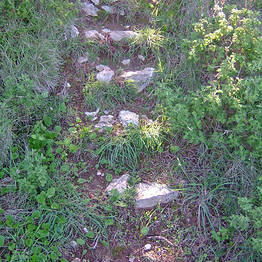 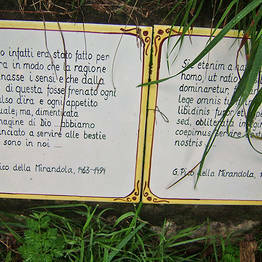 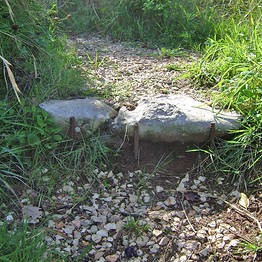 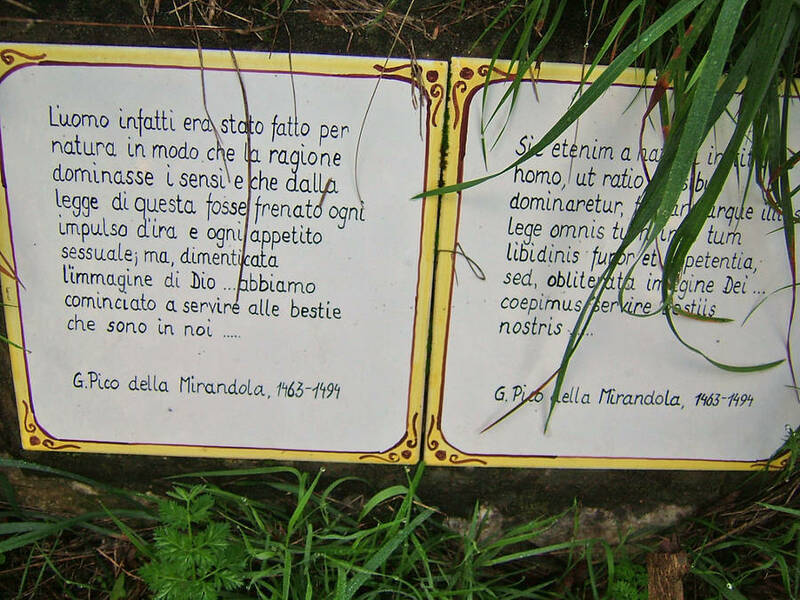 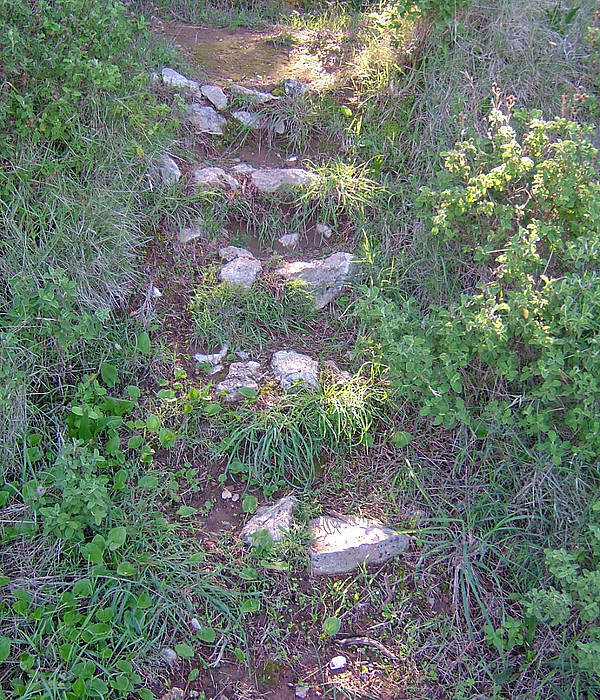 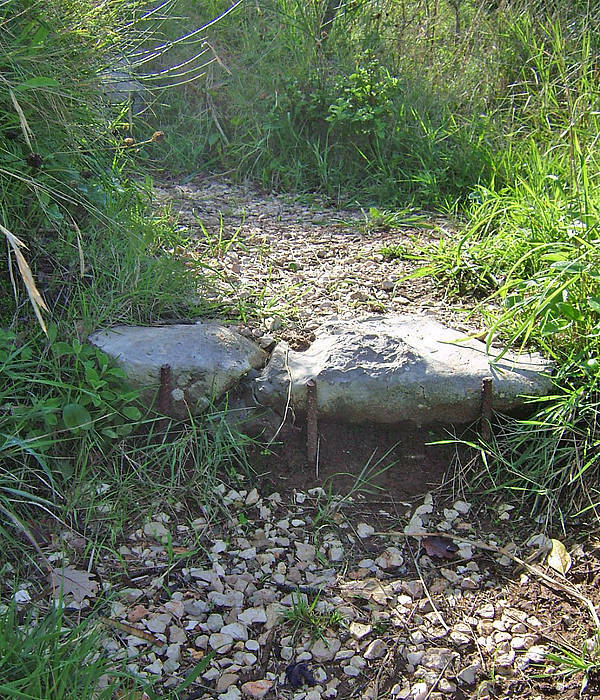 A Philosophical Retreat along the Migliera Path. 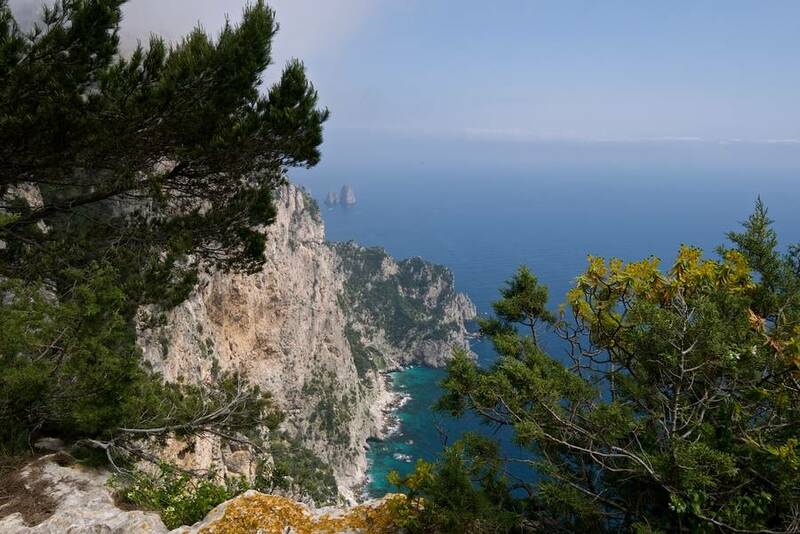 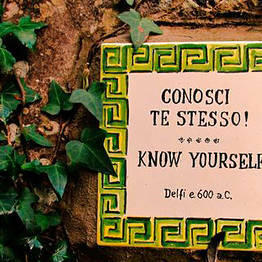 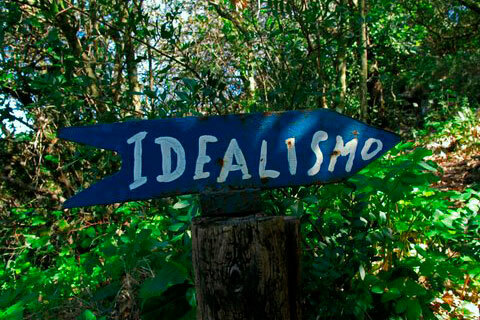 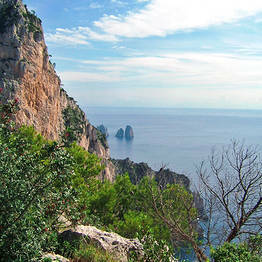 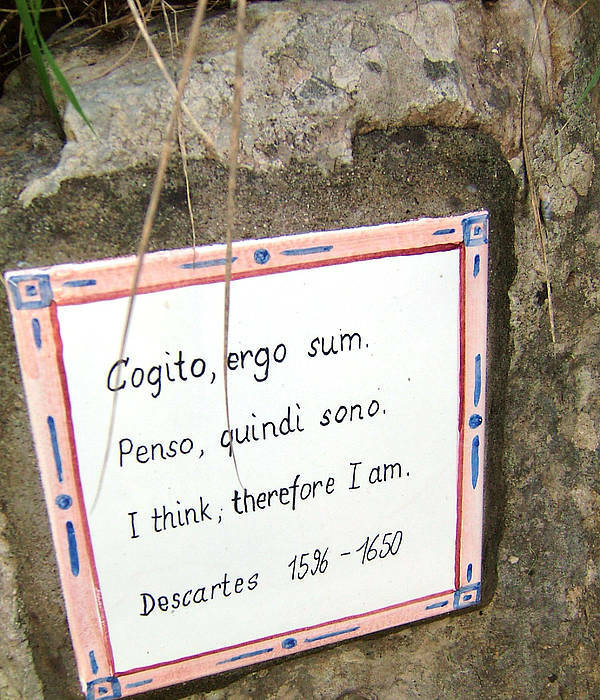 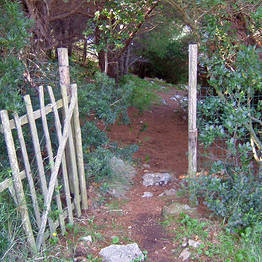 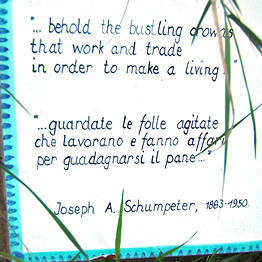 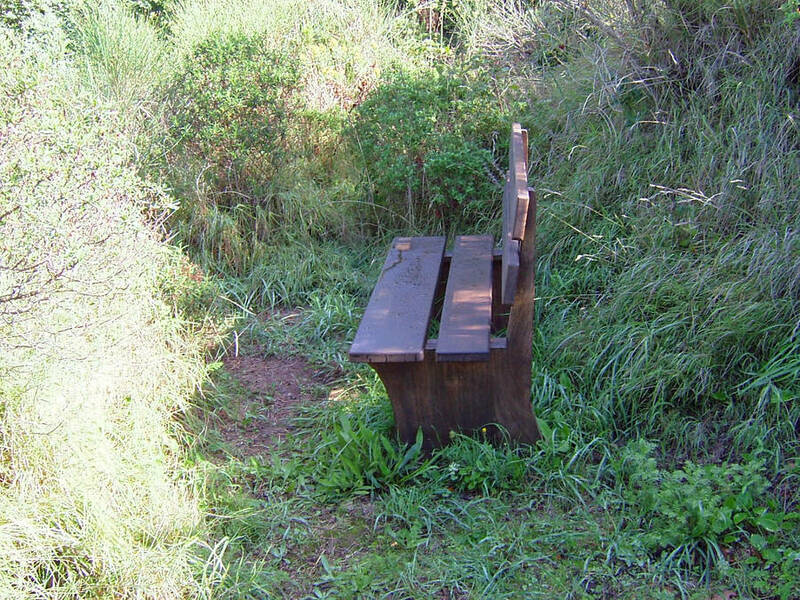 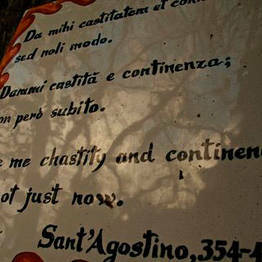 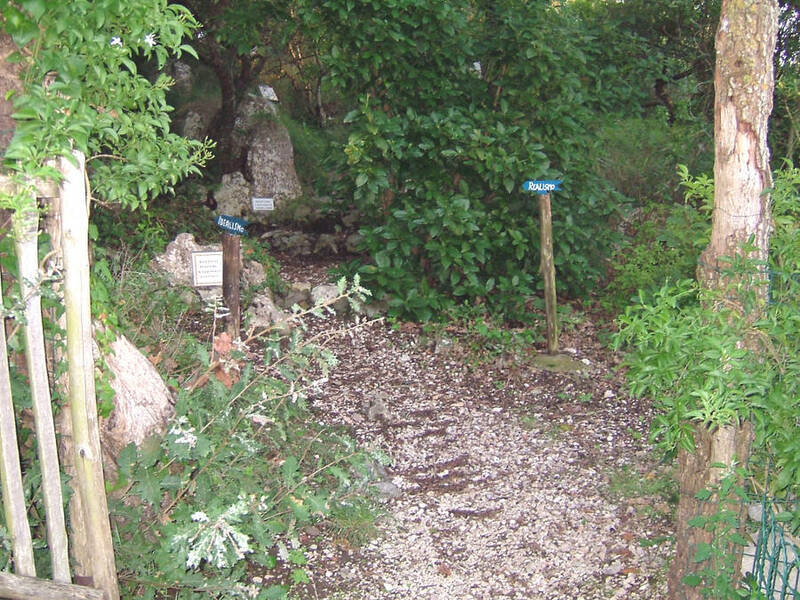 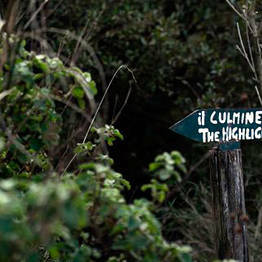 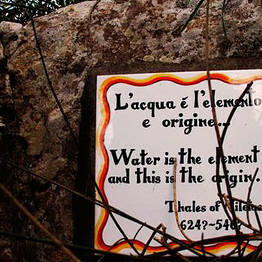 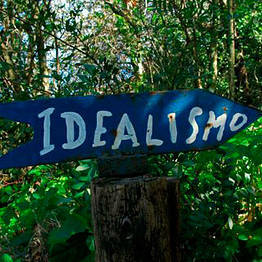 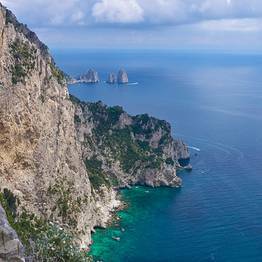 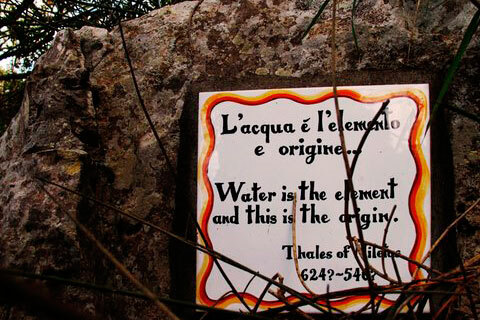 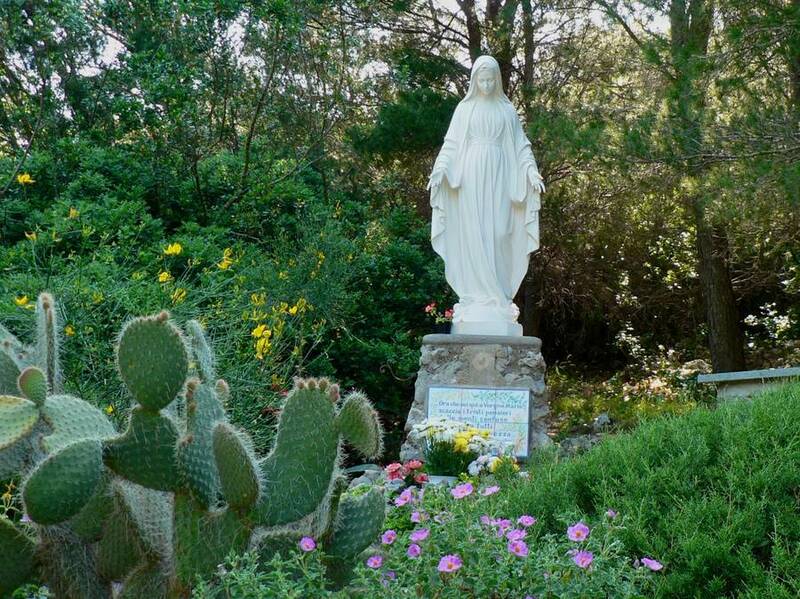 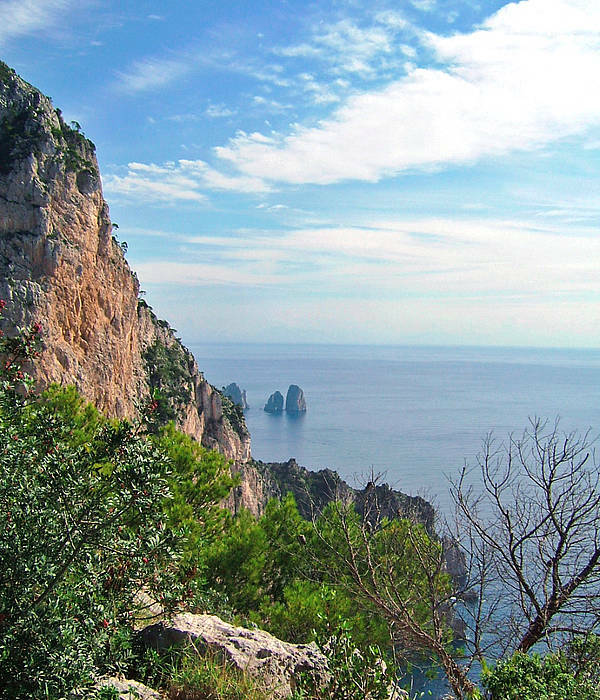 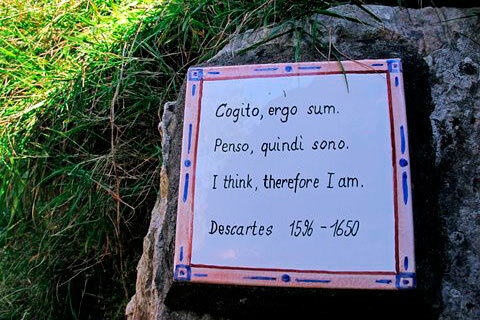 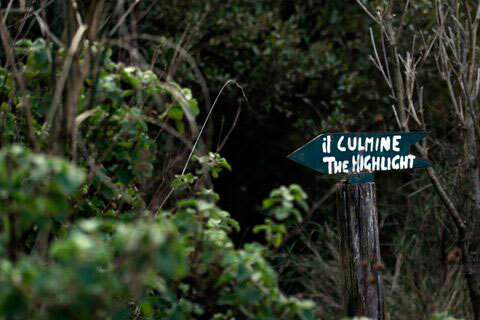 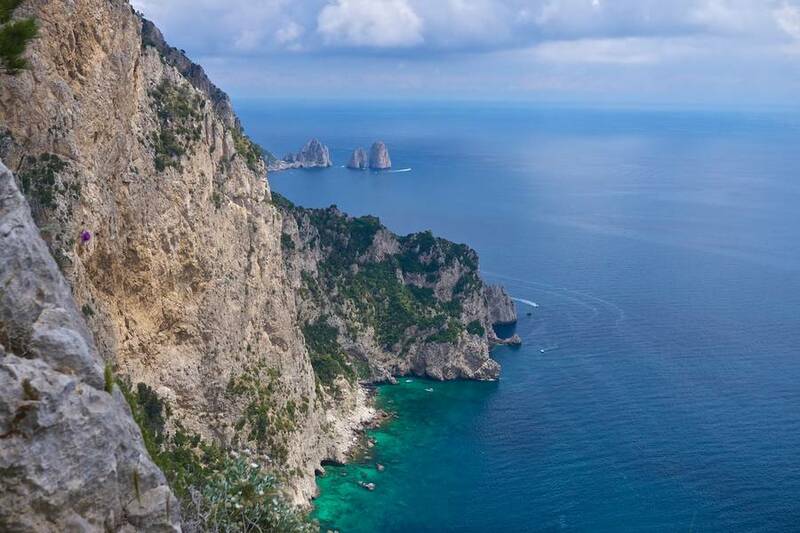 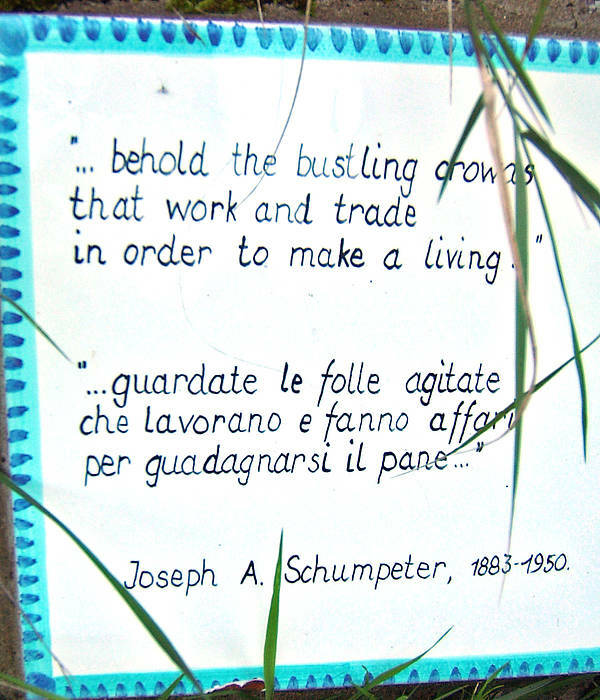 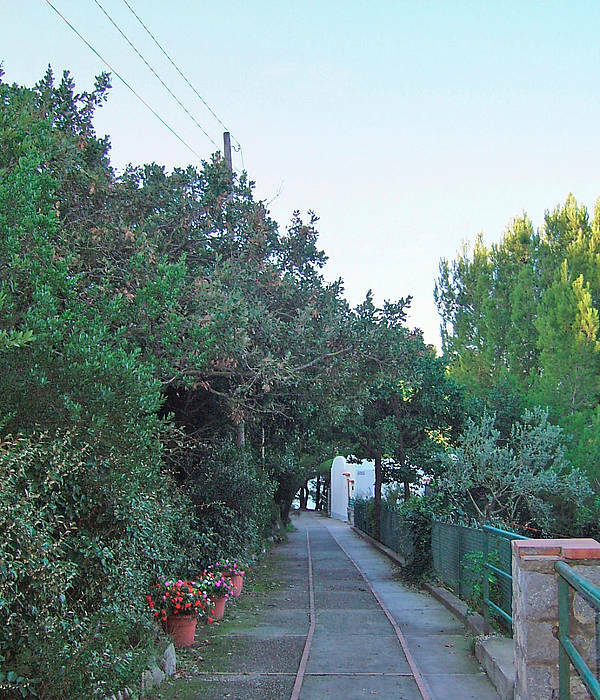 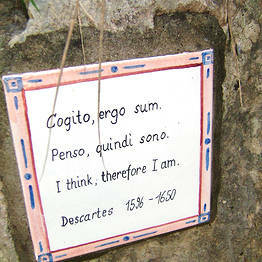 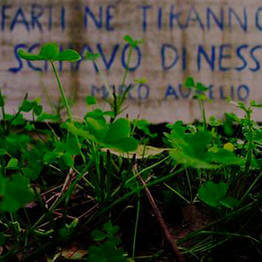 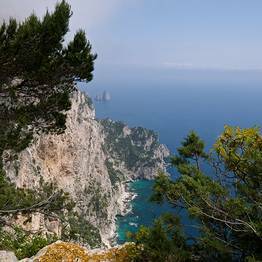 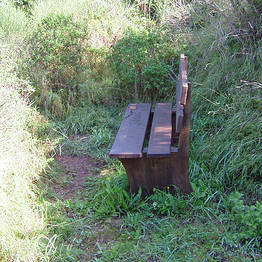 Capri Philosophical Park - A Philosophical Retreat along the Migliera Path. 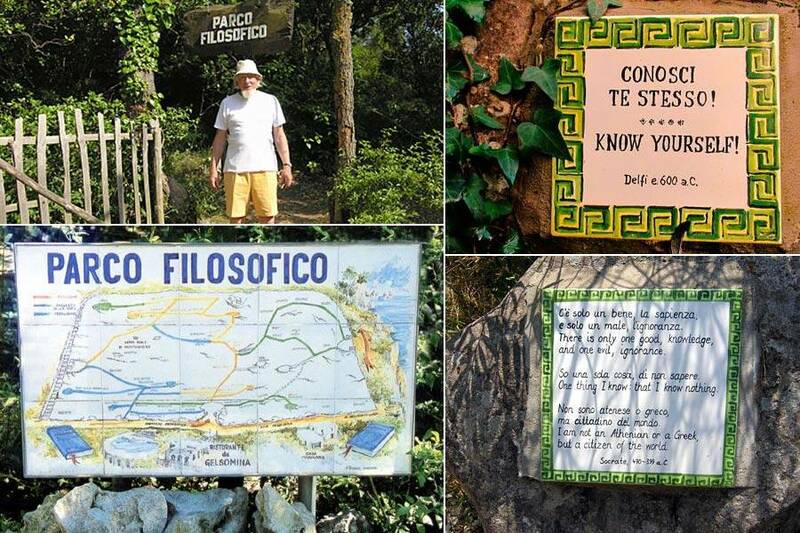 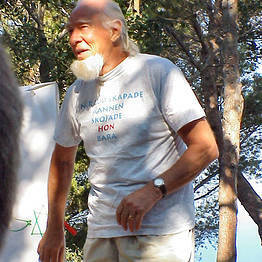 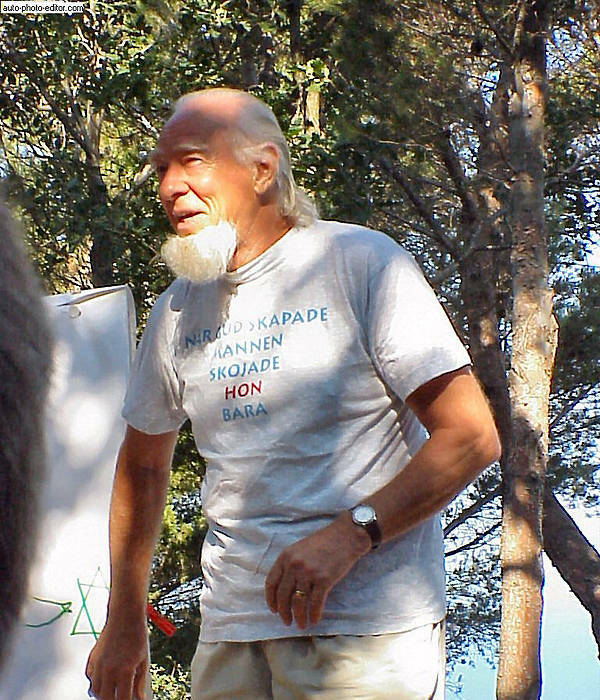 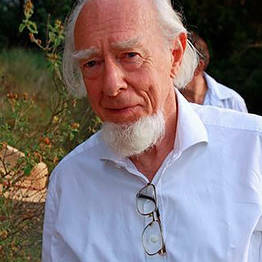 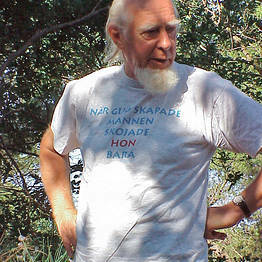 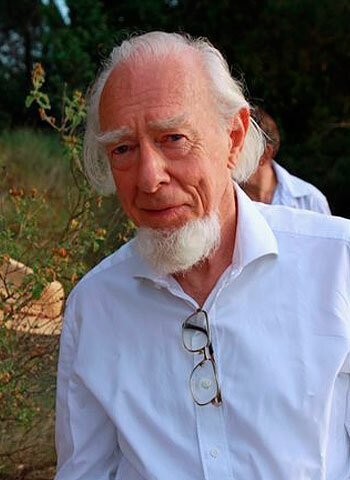 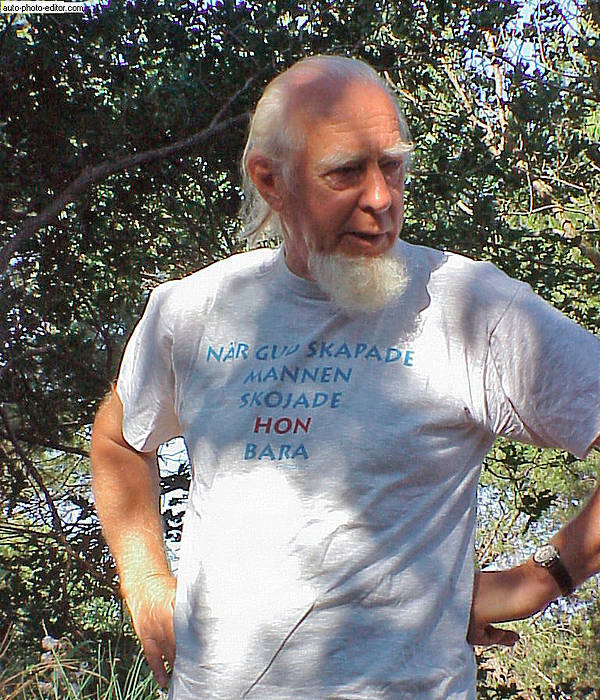 Gunnar Adler Karlsson is a Swedish professor with a deep love for Capri who decided to build a small treasure for the island and its people along the scenic Migliera path. 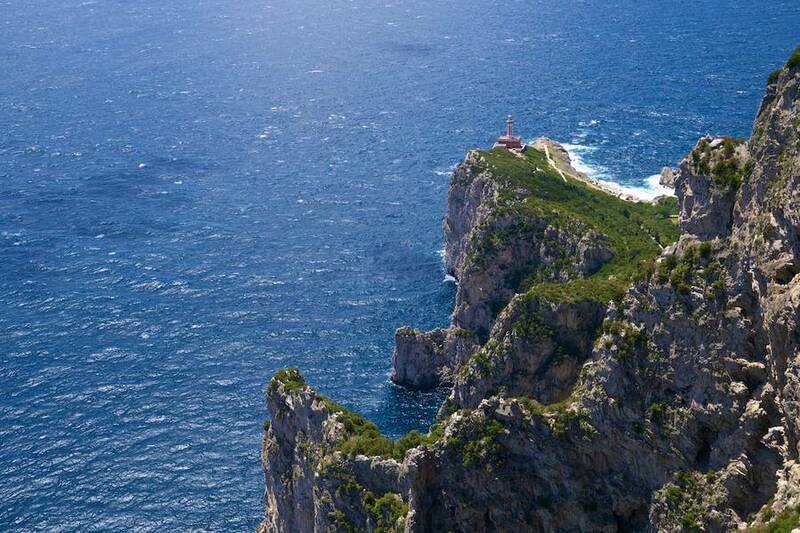 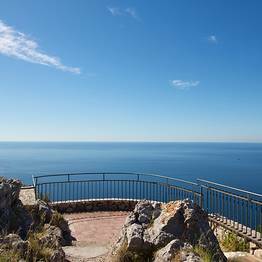 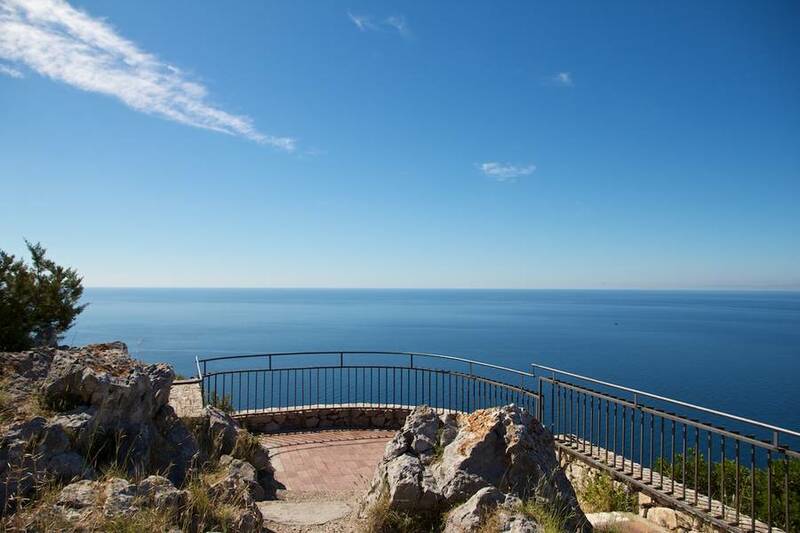 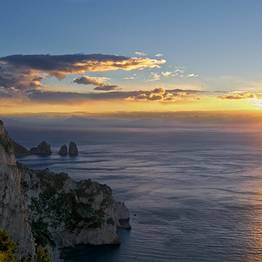 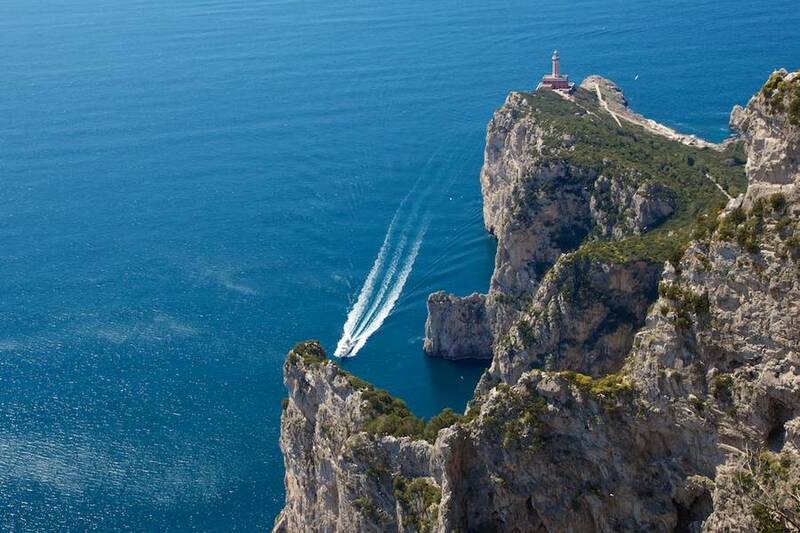 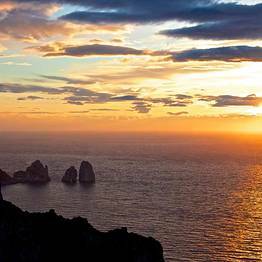 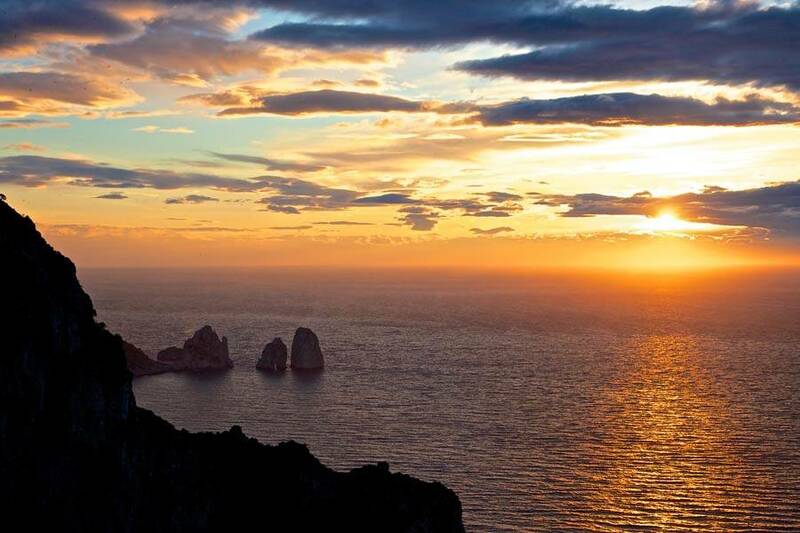 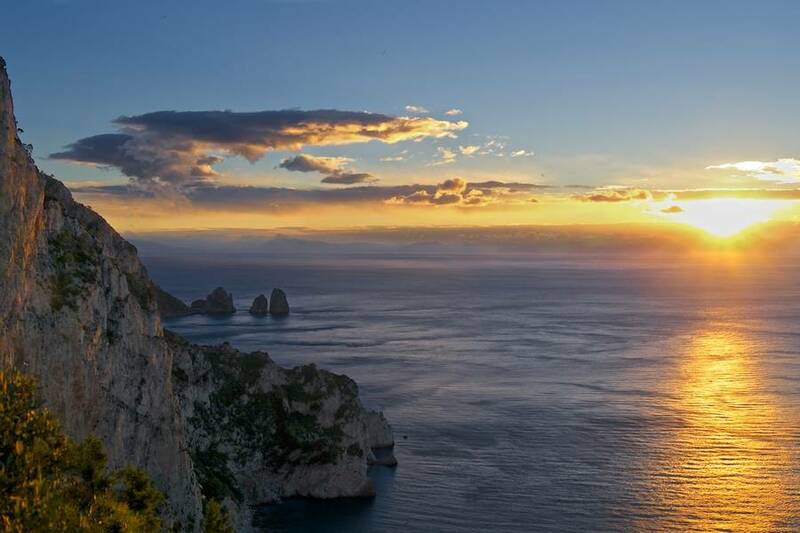 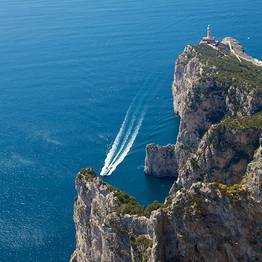 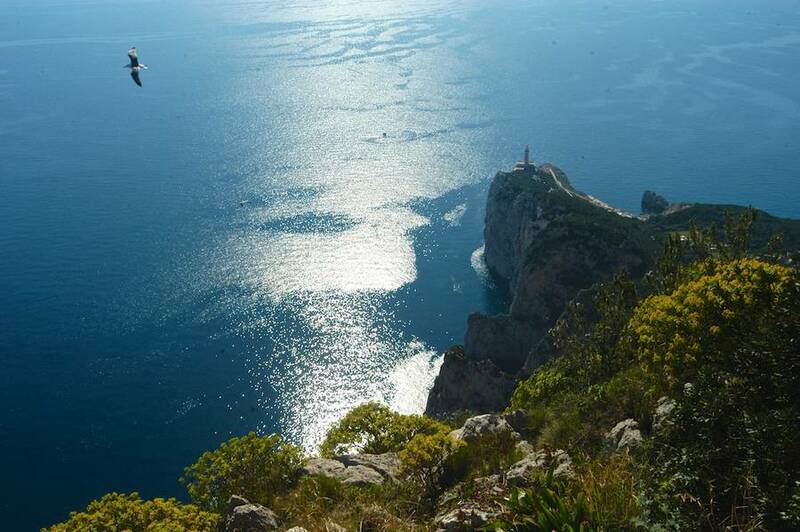 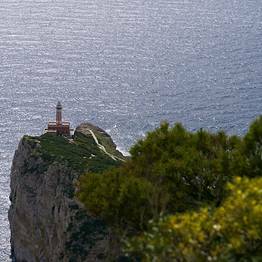 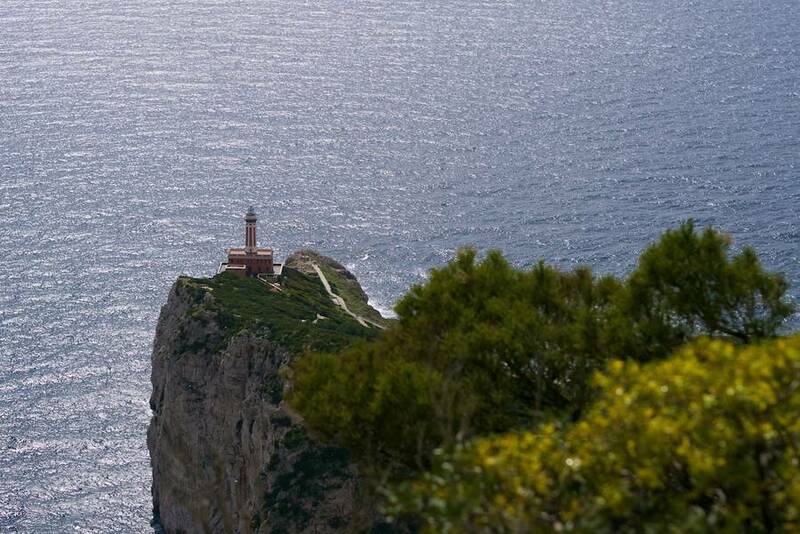 His Capri Philosophical Park is a place where wanderers can relax and meditate just a short walk from the Punta Carena Lighthouse. 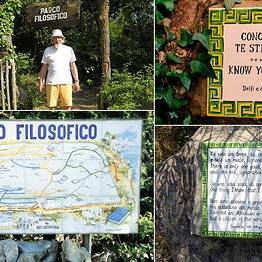 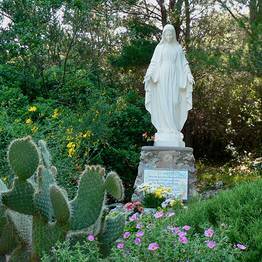 The Philosophical Park - the only of its kind in Europe - stretches across a lush brushland of Mediterranean flora and is crisscrossed by shaded paths, an invitation to take refuge here for a few hours. 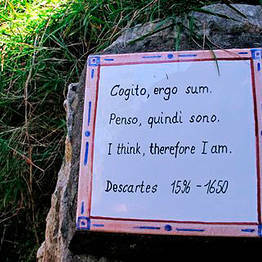 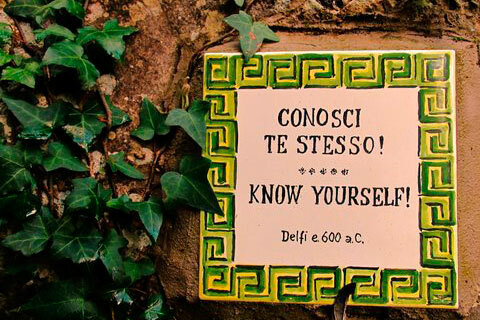 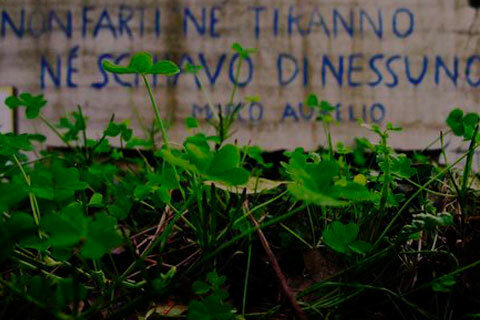 With the the sweeping views and low-flying seagulls as a backdrop, visitors are invited to take a walk along the park's route marked by a number of tiles hand-painted with thought-provoking quotes by the world's most famous philosophers, scientists, and writers. 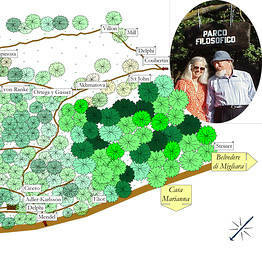 Download the map with visitors' guide here. 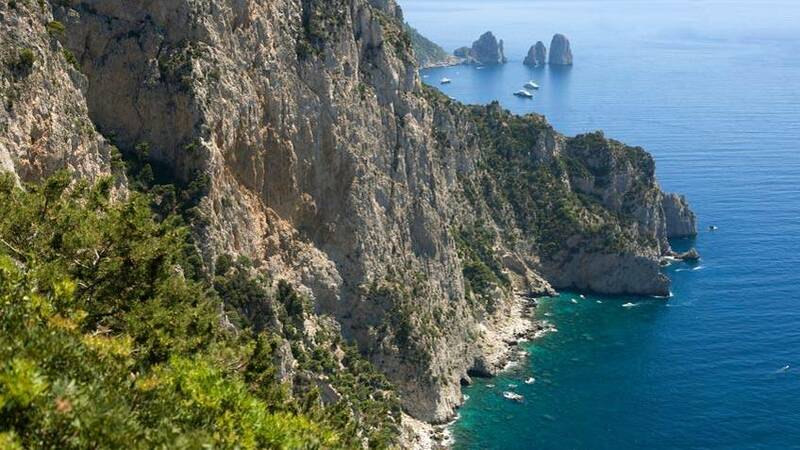 Once you have arrived on Capri, take the bus for Anacapri to the end of the line (the final stop is after Piazza Caprile). 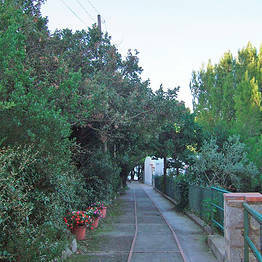 From here, continue of foot toward the Belvedere di Migliara where the park is located. 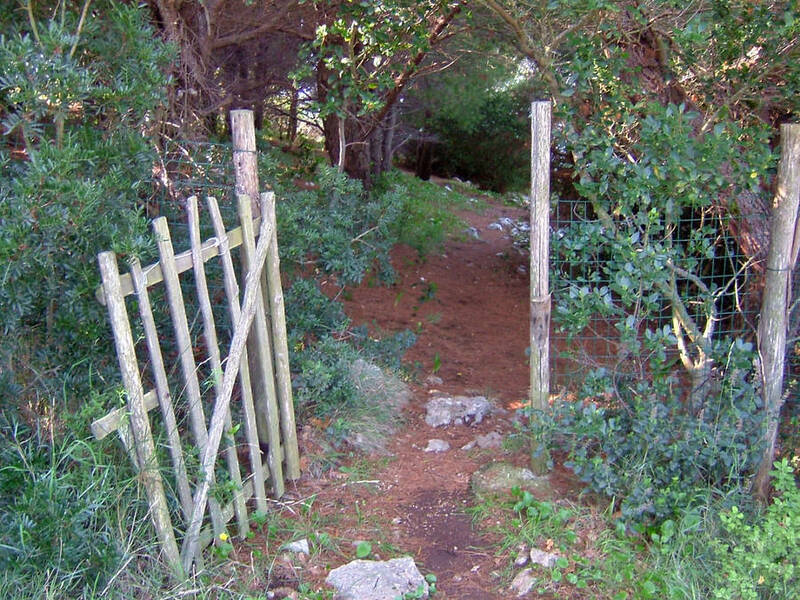 It's about a half an hour walk.